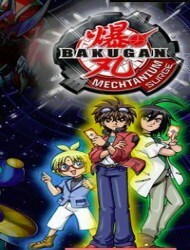 Plot Summary: The strength of the Bakugan Battle Brawlers? is shaken to the core with the threat of losing dan's leadership! And A new insidious enemy infultrated Bakugan Interspace shattering the loyalties of the brawlers and their ardent fans.